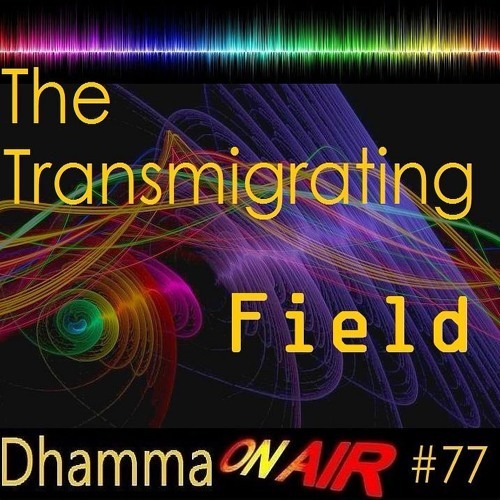 Dhamma on Air #77: The Transmigrating Field ... Corresponding Video: https://www.youtube.com/watch?v=7fM0VK7rUYY Simile of Rice-Field: @ 11:12 The Numerical Discourse of the Buddha. Anguttara Nikaya: The Book of the Eights 8:34. The Field https://suttacentral.net/en/an8.34 Question 229: @ 19:11 If the Buddha is said to be "..gone, gone over, utterly gone never returning... A: Where is the Buddha never returning from? B: Where does parinibbana lead or take one? Question 230: @ 25:49 A: If it is true that we all reincarnate until we escape the cyclic existence? Question 231: @ 43:02 What is the meaning of life? Why do we exist? On Rebirth-Linking (Patisandhi): https://what-buddha-said.net/drops/III/What_passes_on_by_Rebirth-Linking.htm Enjoy further details on Rebirth here: https://What-Buddha-Said.net/drops/Rebirth.htm https://What-Buddha-Said.net/drops/IV/Rare_Rebirth.htm https://What-Buddha-Said.net/drops/IV/Divine_Rebirth.htm https://What-Buddha-Said.net/drops/IV/Animal_Rebirth.htm https://What-Buddha-Said.net/drops/IV/Samsaric_Dread.htm https://What-Buddha-Said.net/drops/IV/The_Minor_Hells.htm https://What-Buddha-Said.net/drops/IV/The_Hell_Destiny.htm https://What-Buddha-Said.net/drops/IV/Five_Destinations.htm https://What-Buddha-Said.net/drops/IV/The_5_Destinations.htm https://What-Buddha-Said.net/drops/IV/Kamma_and_Rebirth.htm https://What-Buddha-Said.net/drops/IV/The_Samsaric_Round.htm https://What-Buddha-Said.net/drops/IV/Mad_Demon_Rebirth.htm https://What-Buddha-Said.net/drops/IV/Human_Being_Rebirth.htm https://What-Buddha-Said.net/drops/IV/Hungry_Ghost_Rebirth.htm Subscribing to this Group Channel is your Ticket to Nibbaana ... !!! A Happy note this channel have just passed 5000 subscribers. Anyone is still welcome to subscribe. Tip-Jar Support this Early Buddhist Video Sharing here https://paypal.me/samahita Giving Food = Classic Dana is advantageous here: https://what-buddha-said.net/various/Dana_via_Keels.htm If U wish 2 seriously Support these Buddhist Videos & Audios: https://www.patreon.com/samahita Please email New Questions to bhante.samahita@gmail.com Videos Plays well on your TV via a Chromecast Dongle: https://www.youtube.com/watch?v=i4WJDWF3x6g Created by Samahita Thera: Email: bhante.samahita@gmail.com Website: https://what-buddha-said.net Patreon: https://www.patreon.com/samahita Facebook: https://www.facebook.com/samahita.thera Soundcloud: https://soundcloud.com/bhikkhu-samahita Google+: https://plus.google.com/+SamahitaThera/posts YouTube: https://www.youtube.com/user/BhikkhuSamahita LinkedIn: https://www.linkedin.com/in/bhikkhu-samahita-a57a2b15 Info: http://www.dhammawiki.com/index.php?title=Bhikkhu_Samahita Google Maps & Earth: The Cypress Hermitage, Knuckles Forest Reserve, Central Sri Lanka: Coordinates North 7.415220, East 80.792573 https://plus.google.com/+WhatbuddhasaidNet_Cypress_Hermitage https://www.google.lk/maps/@7.4148533,80.792462,297m/data=!3m1!1_e3 License Creative Commons: Attribution-NonCommercial-NoDerivs CC BY-NC-ND Can download and copy, but not change or use commercially.